Reigning FIA Formula 3 European champion Felix Rosenqvist will help raise awareness of the Gunnar Nilsson Cancer Foundation throughout the 2016 racing season. 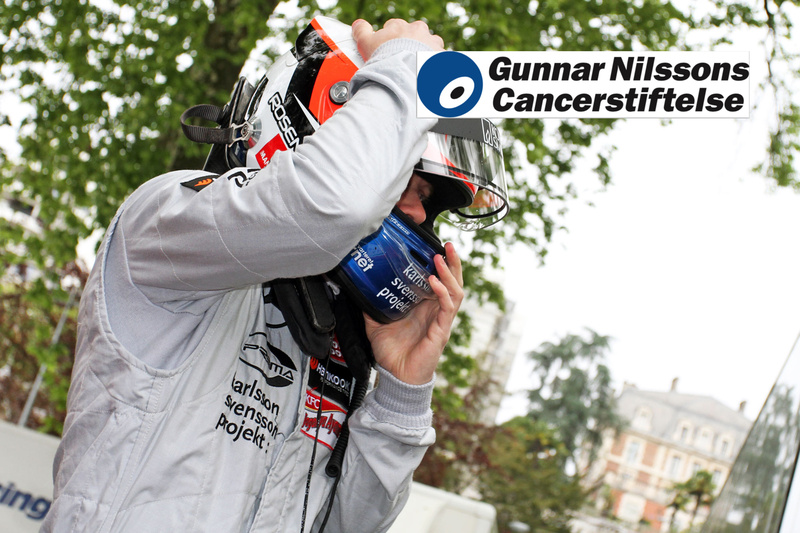 The Gunnar Nilsson Cancer Foundation is a Swedish initiative formed in memory of 1977 Belgian Grand Prix winner Gunnar Nilsson, who succumbed to testicular cancer at the age of 29 in October 1978. The foundation was set up in Helsingborg in 1979, shortly after Nilsson’s death, and supports cancer research programmes in southern Sweden with approximately SEK 4 million annually. Rosenqvist, 24, will sport the foundation’s logotype in races and off-track events throughout the year. Felix Rosenqvist became the first Swede ever to win the acclaimed FIA Formula 3 European Championship in 2015, and also added a second Macau Grand Prix victory to his season achievements. Gunnar Nilsson was crowned British F3 champion in 1975, before commencing a tragically all-to-short Formula 1 career in 1976. For further information about the Gunnar Nilsson Cancer Foundation, and how to make your contribution, please visit www.cancerstiftelsen.com. Felix Rosenqvist will get his 2016 racing commitments underway with the Rolex 24 at Daytona endurance classic in Florida on January 29-31. Rosenqvist is currently weighing up his options concerning the rest of the season and further announcements will be made in due course.